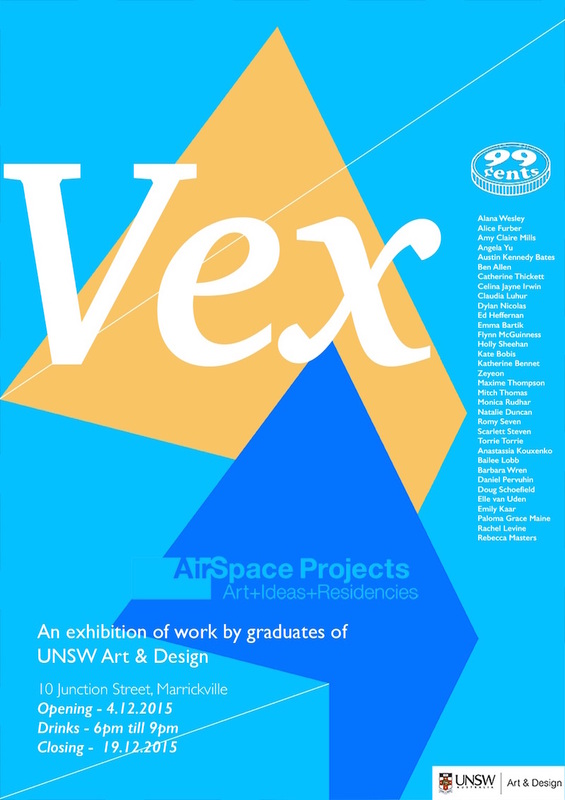 At 7.00pm there will be a performance by Alison Bennett and Kate Brown who will be responding to Cindy Yuen-Zhe Chen’s installation. Creating order out of disorder is something that has fascinated artists, scholars and musicians for thousands of years across different cultures. The garden as a way of creating order and beauty in our surrounds is manifested in different ways around the world, reflecting the larger aesthetic and cultural concerns of a society. The strict lines and formalism of many European gardens contrast with Chinese and Japanese ideas that allow for meandering paths, a harmony with natural shapes, the discovery of hidden views or sparse surrounds that intend to cultivate spaces of the mind rather than living plants. Kristel Smits’ mixed-media works on paper draw strongly on childhood experiences and personal interpretations of place. Her works in Miniature Cosmos are inspired by visits to Japanese gardens, both in the Sydney suburb of Auburn and in the Netherlands (The Hague), on her recent travels. Through a delicate and meticulous working process that she has been developing since 2007, her series of sepia-toned drawings are strongly evocative of memory while also possessing a mysterious, dream-like element. They contrast with her more highly coloured series of drawings, which take inspiration from botanical studies to create detailed renderings of individual plants, or carefully chosen garden views, set against dense Dutch woodlands. 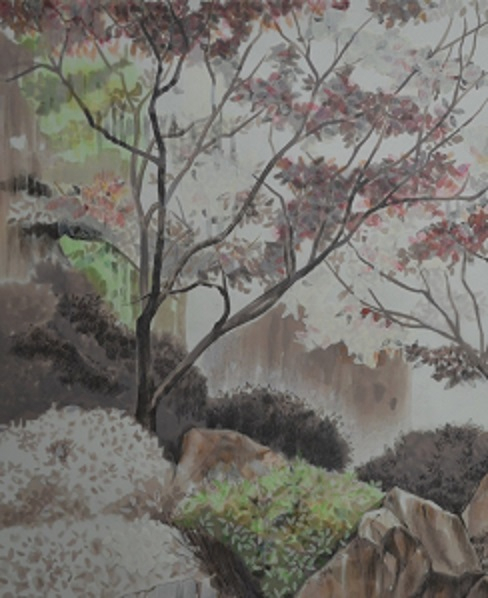 Her drawings will be exhibited alongside bonsai specimens, adding to the depth perceptions within the work. 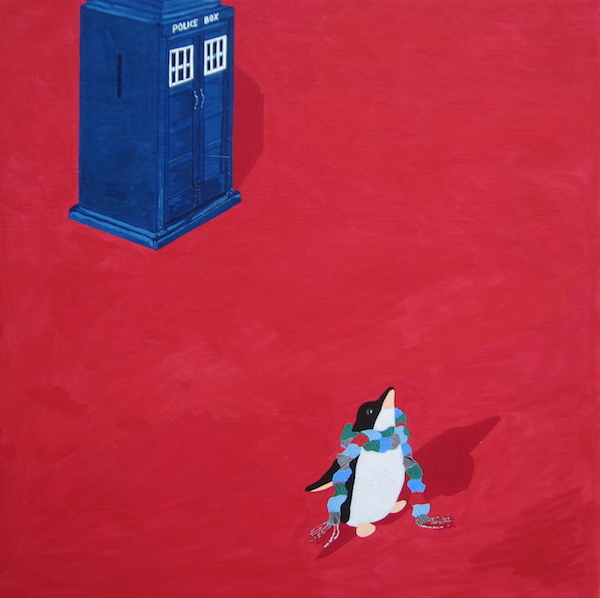 Cindy Yuen-Zhe Chen’s drawings have their origins in invisible phenomena. Her works form a personal response to natural sounds such as bird calls, the distant rumble of traffic or insect sounds observed at specific times of day. Her work explores the inner line of things that have no form. 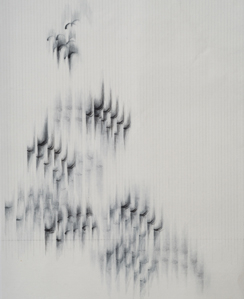 Taking Japanese ink on Chinese paper as her primary working tools, her drawings can be understood as a form of abstract musical graphic notation. 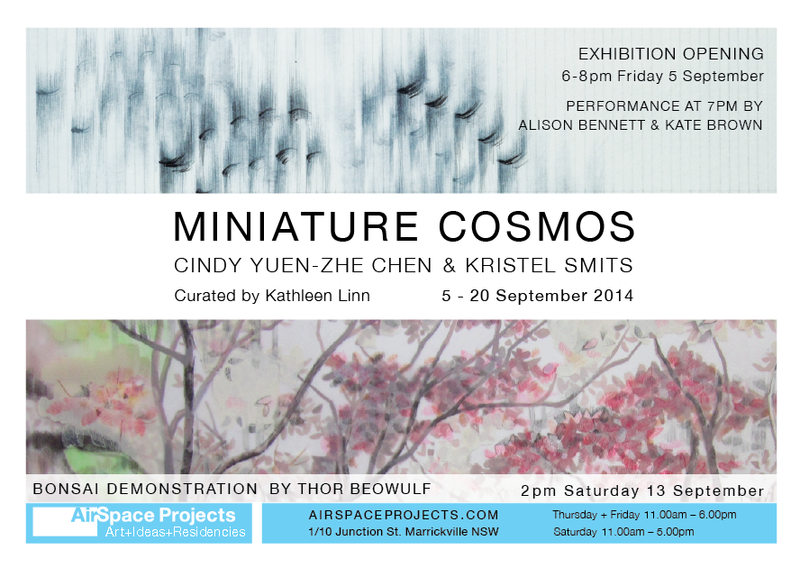 For the opening night of Miniature Cosmos Cindy will, for the first time, be working with two performance artists – Kate Brown and Alison Bennett. They will create a performance-based dialogue with Cindy’s ink drawings, returning the work once again to the aural realm. Miniature Cosmos features bonsai created by Thor Beowulf of the Bonsai Design Studio in Woollahra. 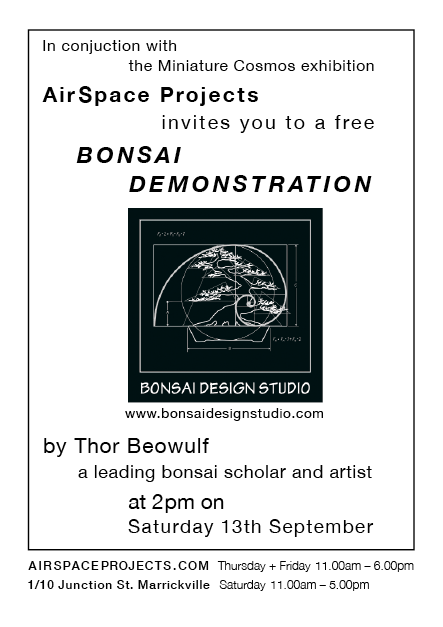 We welcome you to attend the two Bonsai Demonstrations occurring at Airspace Projects as part of the wider program for the exhibition. 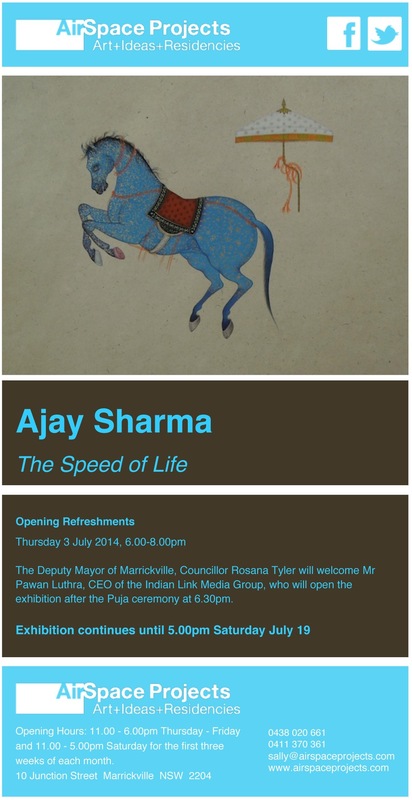 Exhibition is open for viewing from 11.00am Friday 5 September and runs to 5.00pm Saturday 20 September.